World’s 1st ever City Level, Franchise Based, Multi-Sport, Multi Age Group Sports Extravaganza, Mumbai Games was launched today amidst much glitz and fanfare at the St. Regis, Lower Parel in the presence of eminent Olympian - Pullela Gopichand, National chief badminton coach& Rajiv Gandhi Khel Ratna awardee. 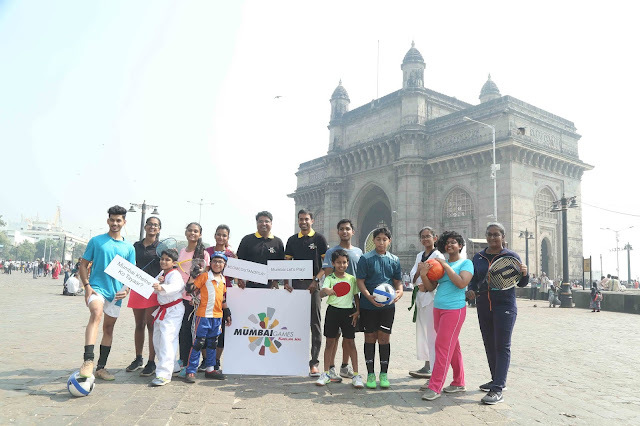 Mumbai Games aims to get Mumbaikars to come out and play. It has been conceptualized by SportzConsult based on 15 years of experience of working with federations, brands, governments and education institutes engaging 4.5 million people annually in sports.The program, which has been accredited by the Maharashtra Olympic Association (MOA),will influence people to inculcate sports as part of daily lifestyle. Mumbai is all set to practice, prepare and play. Contingent format:Mumbai will be divided into eight Contingents across the Mumbai Metropolitan Region ranging from Virar to Churchgate to Navi Mumbai and Thane region.Participants residing in a region will be assigned a Contingent based on his / her pincode. The format will allow the participant to go beyond themselves or their sports team and to represent their contingent / ‘ilaaka’ as a Mumbaikar would say. 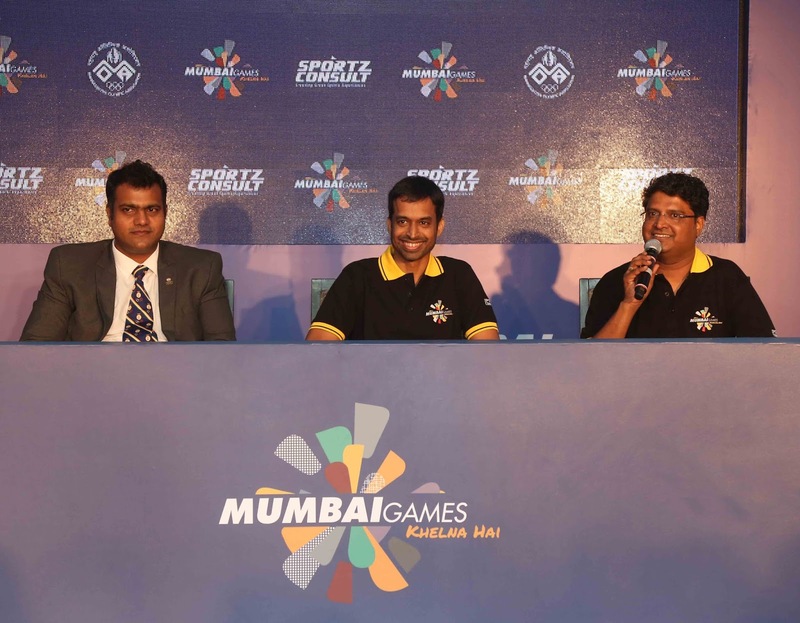 Franchise model:The Mumbai Games will follow a first-of-its-kind franchise model for amateur sports, where each Contingent will be owned by a franchise owner – people who are passionate about sports. The model will create a bigger platform and increase participation by allowing to go hyper-local. Multiple divisions:The players will be divided into two divisions Elite & Amateur, where in the participation in the Elite division will include a pool of top seeded players which will be created and will be assigned to the teams through an auction.By watching these players play and prepare, young players can learn and get inspired. Multiple cups: To give opportunity for the amateurs to compete with the players of their own level, Mumbai Games will have two Cups in the Amateur Division. This will make the competition more fun and a thrilling experience. Plus, league format allows more games and therefore more fun! Mumbai Games is a first of its kind and will have a series of ‘Firsts’ that have been integrated in to amateur sports. All this will add to the participant’s experience and journey. The magnanimity of Mumbai Games will not only ensure that it is a Grand Sports Extravaganza but also a festival where the city is going to bond over sports. Participants of all ages can take part in the 16 games which will be played over 12 weekends, starting December 14, 2018. Over the last 15 years, SportzConsult has worked relentlessly with federations, brands, leagues, govts and schools. (4.5 million people, 100+ events, pan India)to facilitate playing opportunities for over four million Indians annually. Boasting of managing India’s largest grassroot programs like RF Jr. NBA and Reliance Foundation Youth Sports, and with providing a great participative experience at the core of its ideology, SportzConsult today is the frontrunner in the amateur sports participative space in India. As on date, SportzConsult is working with clients like IMG-Reliance, Tata Tea, Hero Motocorp, TI Cycles, Nestle Milo, Mattel Hot Wheels, Red Bull, Nike, BBC and Gold’s Gym to name a few.SportzConsult is part of the SportzVillage group.